The two newly-launched models are the Gogoro 2 Delight and the Gogoro S2. Taiwan-based electric scooter company Gogoro just added two new models to its electric scooter lineup. The Gogoro 2 Delight is their new light scooter and the Gogoro S2 is the new higher performance model. At a press conference on May 29, Gogoro officially introduced the two new models coming with a polished exterior and upgraded equipment that particularly targeted young urban students, according to TechNews. 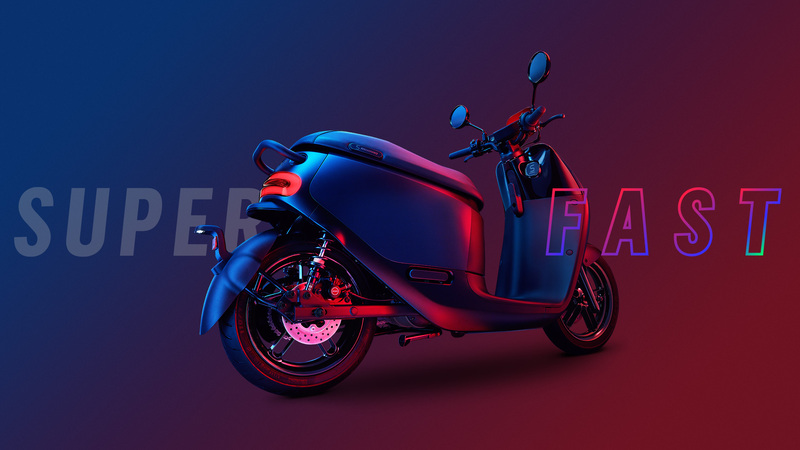 Both electric scooters incorporate the company’s sleek hot-swappable battery design, which allows the user to swap out the batteries in under 6 seconds. Users can simply pull up to any Gogoro battery swap station to trade their empty batteries for freshly charged batteries. The GoStation, works like a vending machine, and the user can purchase a plan for swapping batteries, or have unlimited access. Gotta love the name. The Gogoro 2 Delight has a maximum range of 110 km (68 miles) and a top speed of 88 km per hour (almost 55 miles per hour). It will go from zero to 50 km per hour in 4.3 seconds and has a maximum power output of 6.4 kW at 3,000 rpm. The Gogoro S2, is considered more of a performance scooter, going from zero to 50 km per hour in just 3.9 seconds. It has the same range as the Gogoro 2 Delight, but has additional performance features such as an enlarged front disc brake for more powerful braking control, adjustable suspensions and a 4-piston radial mounted front caliper. The max speed for the Gogoro S2 is 92 km per hour (57 miles per hour). Thinking about purchasing a scooter? In Taiwan, the 2 Delight is priced at $1,656 while the S2 will set you back $2,055. Gogoro is not a super young company. While Gogoro has yet to enter the US market, CEO Horace Luke told Electrek that they were planning to start operating stateside “soon”. Of course, that was in 2016, so who knows when we’ll eventually see Gogoro’s GoStations in NYC or San Francisco.